When gold is the theme whether your celebrating a event or a party,this GOER gold party backdrop is the perfect low priced decorating piece. 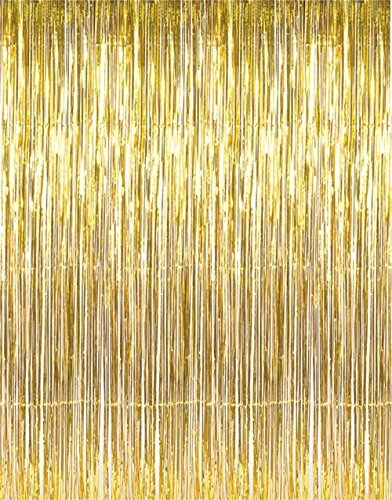 Package Includes:2 packs gold foil fringe curtain. Suitable for hanging on a door or coverage a wall fully. GoerDirect is the sole authorized seller of authentic GOER products (other than Amazon) on the Amazon platform. For 30 days after the date of purchase,return your undamaged GOER product and receive a full refund for ANY reason. If you have any questions about this product by GOER, contact us by completing and submitting the form below. If you are looking for a specif part number, please include it with your message.